Unique building close to City Centre, adjacent to large open sundeck shared by other owners. Unit has its own large enclosed balcony as well. Unit is in original condition offering a chance for buyer to add own decor touches and personalize it. A bright, open unit! There's even a peek-a-boo ocean view. Value here! Games room with pool table, guest suite and spa. Laundry room on every floor. Workshop in basement which can be shared with other owners.Secured underground parking, one stall comes with the unit. Wonderful building, flat level walk to city centre. No age restriction. Stable building, many long time owners. 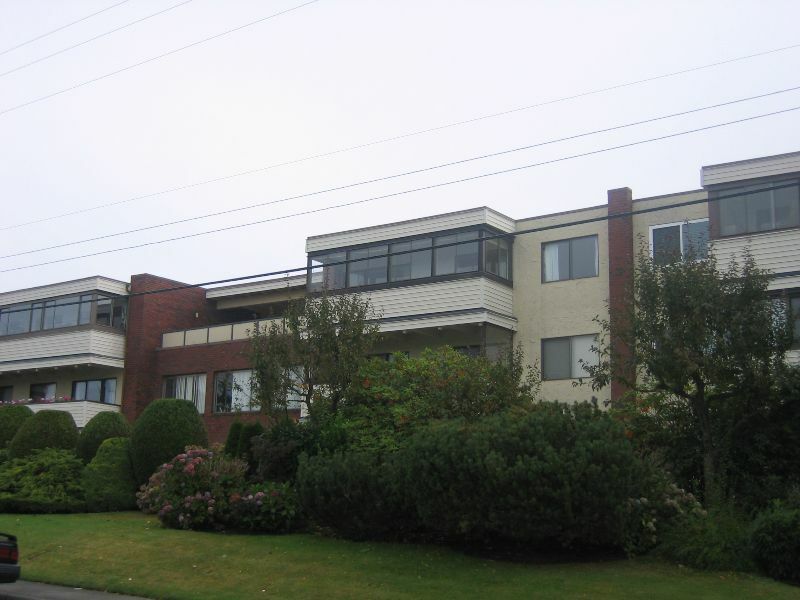 There are very few buildings in White Rock without age restrictions, so close to the City Center.